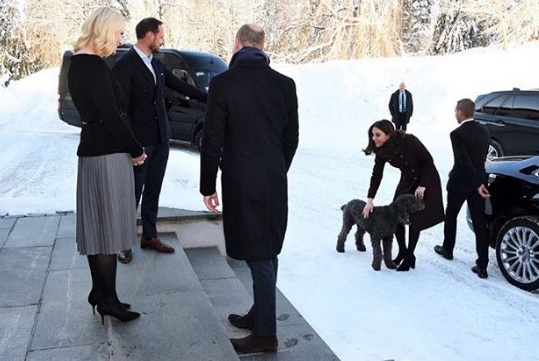 If the trip to Holmenkollen Ski Jump that rounded off the final day was a chance for the Duke and Duchess of Cambridge to enjoy that great passion of theirs that is sport, then the first engagement on their itinerary was all about another major interest, mental health. 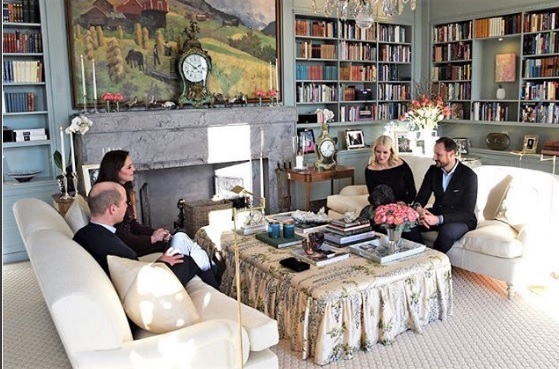 The couple, along with their rather jolly hosts Crown Prince Haakon Magnus and Crown Princess Mette-Marit of Norway, headed off to Hartvig Nissen School, the setting for the huge hit show SKAM, which is a groundbreaker in more ways than one. Skam, made by Norway's state broadcaster NRK, has been running for three years and focuses on the problems that young people can face. It makes big use of social media. Each week's theme starts with clips posted online and over the week new material is added until a complete episode is available every Friday. It's been a major success and the royal visitors heard about the work that goes into it while they met the pupils at the school who talked about the impact SKAM has had on making mental health an issue everyone now talks about more openly. There was also time for one more walkabout - meeting the people who turned out to see them has been on the agenda every day for William and Kate and the duchess, in particular, seems to have relished this part of the visits. The last lunch of this royal tour took place at Skaugum, the rather lovely house on the outskirts of Oslo which is now home to Crown Prince Haakon Magnus and Crown Princess Mette-Marit and which is the birthplace of King Harald V.
All that royal history had to take a back seat to the Norwegian royals' dog, Muffins Krakkebolle, who took over the welcoming duties when William and Kate arrived and was a constant companion throughout the lunch. 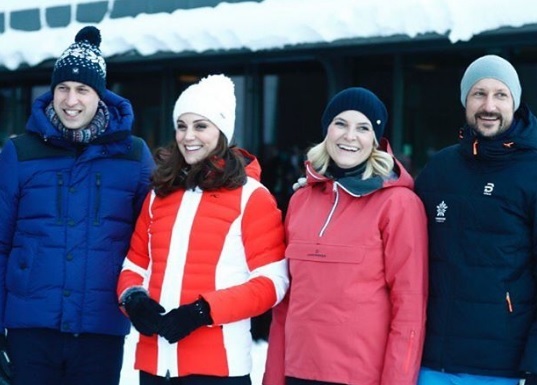 Presumably, Haakon and Mette-Marit loaned William and Kate a spare room to get changed in because when we next saw the royal quartet they were all togged up in their ski-ing gear at Holmenkollen. Holmenkollen is a district of Oslo and it's been popular with skiers since the end of the 19th century. But it's the iconic ski jump there that has really put the area on the map - it's now one of Oslo's most iconic sights. 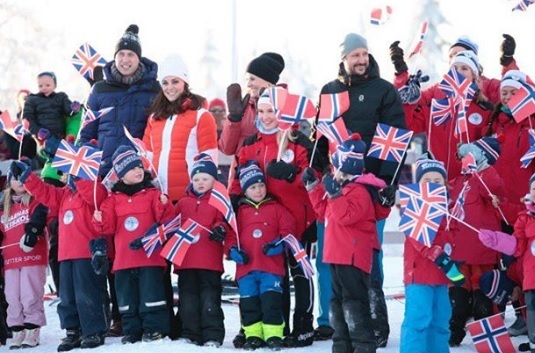 William and Kate arrived in ski jackets and bobble hats (fortunately not one single mention of where the duchess' woolly came from following the faux fur row in Sweden) for a look around and a chance to meet some of Norway's top ski jumpers. 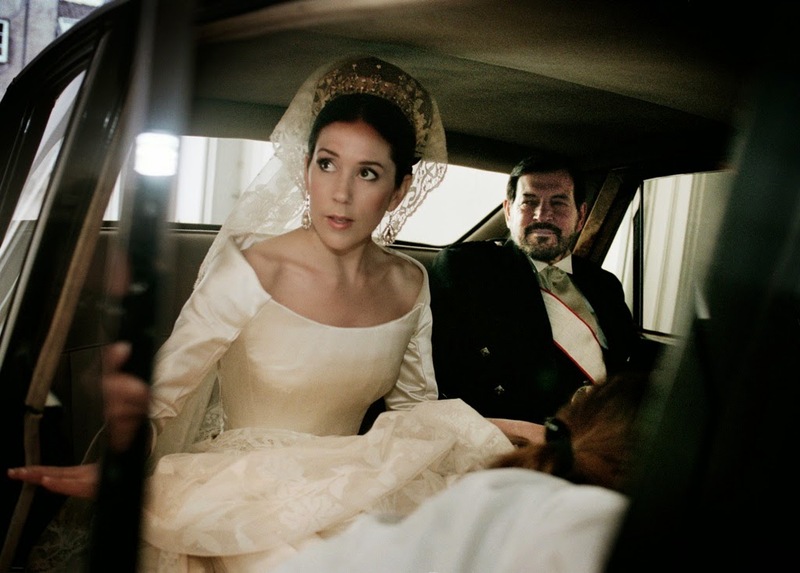 While we all expected the Duke and Duchess of Cambridge to try a bit of bandy hockey in Sweden, we all had zero expectations of either the second in line to the throne or a future queen consort six months into her third pregnancy to go anywhere near a pair of skis here. Instead, Kate and William ended their visit by meeting lots of very happy ski children and looking very jolly in the snow. And that, folks, is that. 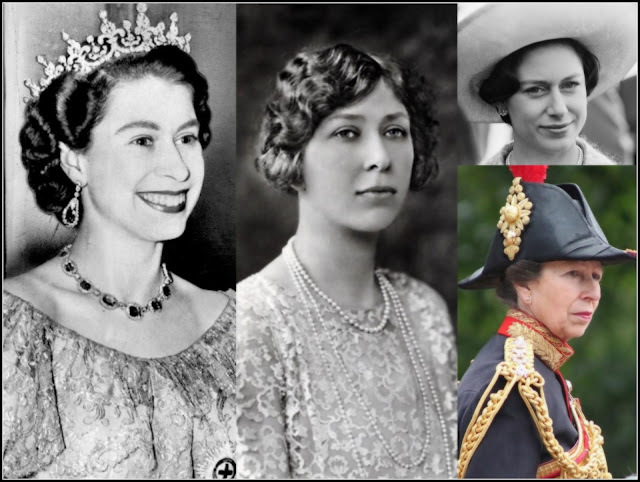 After a week which has seen them play sport, talk business, see work in the field of mental health and hang out with their European cousins, the latest royal visits were done. It's safe to say they went well.